When will be Denver, The Last Dinosaur next episode air date? Is Denver, The Last Dinosaur renewed or cancelled? Where to countdown Denver, The Last Dinosaur air dates? Is Denver, The Last Dinosaur worth watching? 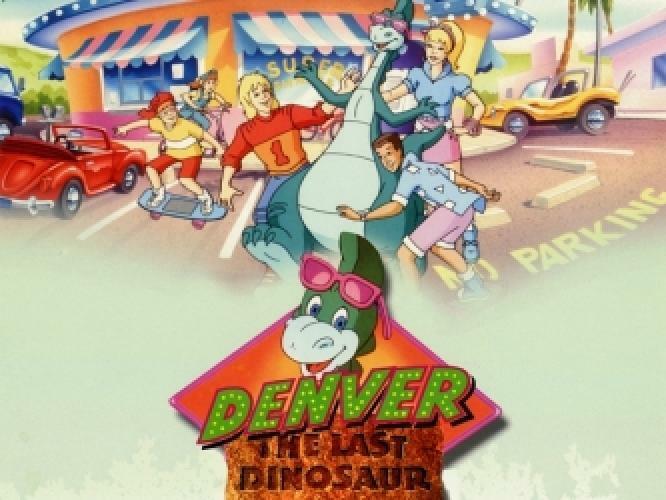 The show revolves around the adventures of Denver, the last dinosaur - a Corythosaurus - who was released from his egg by a group of multicultural modern California teens: Jeremy, Mario, Shades, Wally, and Casey, along with tag-along older sister, Heather. The kids taught Denver the finer points of skateboarding and other pastimes while protecting him from concert promoter Morton Fizzback who wanted to use the dinosaur to make money. EpisoDate.com is your TV show guide to Countdown Denver, The Last Dinosaur Episode Air Dates and to stay in touch with Denver, The Last Dinosaur next episode Air Date and your others favorite TV Shows. Add the shows you like to a "Watchlist" and let the site take it from there.